Equilae is the Knee and Arthroscopic Surgery Unit of the Catalan Institute of Traumatology and Sports Medicine (ICATME, Institut Català de Traumatologia i Medicina de l’Esport). It is a team of specialists dedicated to the comprehensive treatment of orthopedic and traumatic pathologies and of knee and hip pathologies. Equilae combines the most advanced techniques in the field of arthroscopic surgery with personalized and close-up attention. Left to right: Federico Ibáñez, Juan Erquicia, Xavier Pelfort, Joan Carles Monllau, Pablo Gelber, Raúl Torres, Maximiliano Ibáñez, Àngel Masferrer and Daniel Pérez Prieto. We are backed up by our clinical results and our commitment to research and innovation as key elements in the constant improvement in arthroscopic techniques and quality of care. Our team consists of proven hands-on professionals who have led our patients to having complete confidence in us. Arthroscopy is the introduction of a camera and different instruments (forceps, motor, vaporizer, etc.) through small incisions in the skin. The development of the arthroscopic technique was primarily applied, in the beginning, for the treatment of knee pathologies. Therefore, specialized arthroscopy units usually emerged in the core of knee units. 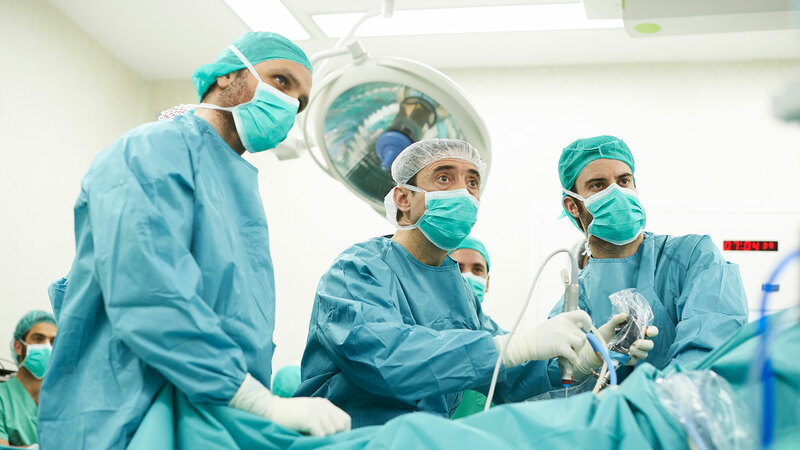 Since its inception, the Equilae group has focused on bringing together a group of orthopedic surgeons interested in joint preservation surgery who were trained under the tutelage of Joan Carles Monllau. Joint preservation surgery, mainly of the knee with a special dedication to arthroscopic surgery, sets it sight on young adults and particularly the athlete. Equilae, which now has international recognition, grew out of the desire to bring together a group of orthopedic surgeons trained under the tutelage of Joan Carles Monllau. .
Equilae later came to be the Arthroscopic Surgery Unit of ICATME (Catalan Institute of Traumatology I Medicine of Sport) at the Dexeus University Hospital in 2006. The progressive development of the specialty led to Equilae taking on overseeing knee surgery in its entirety, as much though preservation surgical techniques that continue to emphasize arthroscopic surgery, as through substitution techniques, better known as prosthetic surgery. In addition, the development of arthroscopic techniques for shoulder, elbow, hip and ankle joints emerge as additional areas of expertise in close cooperation with the relevant units. Bachelor of Medicine and Surgery, Autonomous University of Barcelona (1983). Specialist in Orthopedic Surgery (MIR), Doctor Trueta University Hospital (1993). Doctoral Degree, Autonomous University of Barcelona (1999). Specialist in Orthopedic Surgery and Tramatology (MIR), Doctor Trueta University Hospital (1993). Member AEA, Spanish Arthroscopy Association (1983). Member SCCOT, Catalan Society of Orthopaedic and Trauma Surgery (1984). Member SECOT, Spanish Society of Orthopaedic and Trauma Surgery (1993). Member AGREG, Association Groupe Etude et Recherche sur le Genou (1999). Member EMTG, European Meniscal Transplantation Group (2000). Member ESSKA, European Society of Sports Traumatology, Knee Surgery and Arthroscopy (2001). Member ISAKOS, International Society of Arthroscopy, Knee Surgery and Orthopedic Sports Medicine (2003). Member ICRS, International Cartilage Repair Society (2009). Attending Physician, OS&T (1985-1987) Mutualidad Patronal Montañesa (HMO). Attending Physician, OS&T (1987-1989) Hospital de l’Esperança (IMAS). Medical Resident OS&T (MIR) (1989-1993) Doctor Trueta University Hospital, Girona. Attending Physician OS&T (Staff) (1994 -1994) Granollers General Hospital. Attending Physician OS&T (Staff) (1994 -1997) IMAS – Hospital del Mar (Barcelona). Section Head, OS&T (1997-2000) IMAS – Hospital del Mar (Barcelona). Knee Unit Head (2005-2009) IMAS – Hospital de l’Esperança (Barcelona). Director, Orthopedic Surgery & Traumatology Service (OS&T) (2009-present). Hospital de Sant Pau (Barcelona). Head of the Arthroscopic Surgery Unit of ICATME, Institut Universitari Dexeus (Dexeus University Institute) (2005-present). Senior Lecturer, Autonomous University of Barcelona (2011). Member of the Editorial Board of the Journal of Arthroscopy (2010). More than 200 papers in national and international conferences. More than 100 publications in national and international journals. More than 30 book chapters. Bachelor of Medicine and Surgery, Autonomous University of Barcelona (1990-1996). Orthopedic Surgery Specialist (MIR), Hospital del Mar, IMAS, Autonomous University of Barcelona (1998-2003). Orthopaedic Surgery Specialist (MIR), Hospital del Mar, IMAS, Autonomous University of Barcelona (2003-2008). Member of the Spanish Arthroscopy Association (AEA) (2002). Member of the Academy of Medical Sciences of Catalonia and the Balearic Islands (2002). Member of the Spanish Society of Orthopaedic Surgery and Traumatology (SECOT) (2003). Member of AO Alumni (2003). Member of the International Society of Arthroscopy, Knee Surgery and Orthopaedic Sports Medicine (ISAKOS) (2005). Member of the European Society of Sports Traumatology, Knee Surgery and Arthroscopy (ESSKA) (2005). Member of the American Society of Arthroscopy, Knee and Sports Medicine (SLARD) (2007). Member of the Spanish Knee Society (SEROD) (2010). Director of the OS&T Service, Consorcio Sanitario de Anoia, Hospital de Igualada (2014-present). Consultant, Knee and Arthroscopic Surgery Unit. ICATME, Quirón Dexeus University Hospital, Barcelona (2008-present). Section Head, OS&T, IMAS – Hospital del Mar (Barcelona) (2011-2014). Attending Physician, OS&T, Hospital del Mar, IMAS, Arthroscopy and Trauma Unit (2004-2010). Attending Physician, OS&T, Corporación Sanitaria del Parc Tauli-Hospital de Sabadell (2003-2004). Teacher AEA (Spanish Association of Arthroscopy) training courses (2007-present). 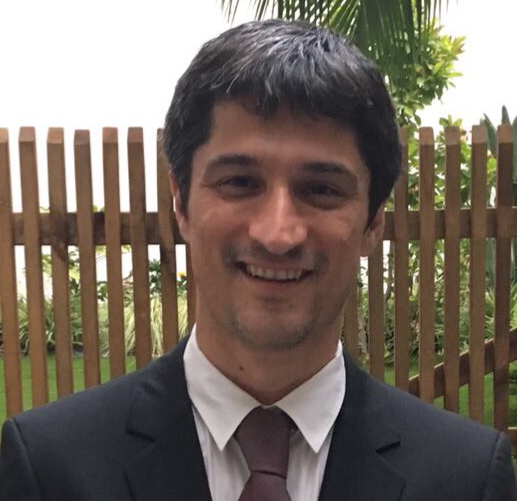 MIR Residents Tutor for Orthopaedic Surgery and Traumatology, Hospital del Mar, IMAS. Barcelona (2009-2012). Professor Interuniversity Master in Sport Traumatology. Barcelona (2006-2008). Collaborating member of the Teaching Unit in OS&T. IMAS – Hospital del Mar, Barcelona, (2001-2003). Orthopedic Surgery Specialist (MIR), Hospital del Mar, IMAS, Autonomous University of Barcelona (2003-2008). Bachelor of Medicine and Surgery, University of Buenos Aires, Argentina (1995-2001). 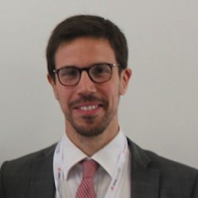 Member of the Spanish Society of Orthopaedic Surgery and Traumatology (SECOT). 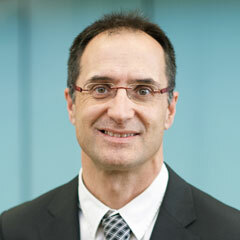 Member of the Catalan Society of Orthopaedic Surgery and Traumatology (SCCOT). Member of European Society of Sports Traumatology, Knee Surgery and Arthroscopy (ESSKA). Former member of the ESSKA Youth Committee (Under 45) (2013-2014). Member of the ESSKA Basic Sciences Committee (2014-2016). Member of the American Society of Arthroscopy, Knee and Sports Traumatology (SLARD). Chairman of the ESSKA Congress Scientific Committee (2016). 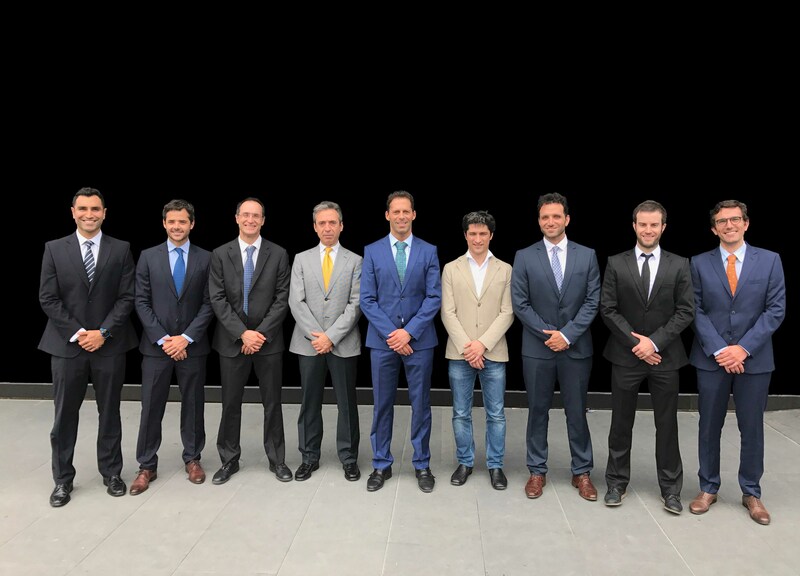 Member of the ESSKA Arthroscopy Committee (2016-2018). Attending Physician, Knee and Arthroscopic Surgery Unit. ICATME, Quirón Dexeus University Hospital, Barcelona (2010-present). Attending Physician, Knee Unit. Hospital de Sant Pau, Barcelona (2009-present). 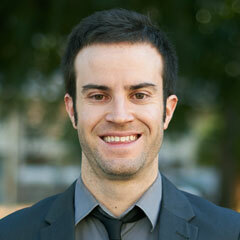 Associate Professor, Autonomous University of Barcelona (2013-present). Collaborating Professor of Orthopaedic Surgery and Traumatology at the Autonomous University of Barcelona. Doctoral Degree, Autonomous University of Barcelona (2007). Teacher, Anatomy of the Locomotor System. Faculty of Medicine, University of Buenos Aires (1999-2001). Assistant Professor of Anatomy. Faculty of Medicine, University of Buenos Aires (1996-2001). Bachelor of Medicine and Surgery, Austral University. Pilar, Argentina (1997-2002). Specialist in Orthopedic Surgery and Traumatology, Hospital Francés. Buenos Aires, Argentina (2003-2007). Fellowship in Arthroscopy and Knee Surgery. Equilae Group, Barcelona (2008-2009). 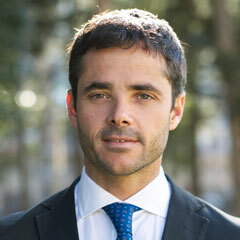 Member of the Spanish Arthroscopy Association (AEA) (2009). Member of European Society of Sports Traumatology, Knee Surgery and Arthroscopy (ESSKA) (2011). 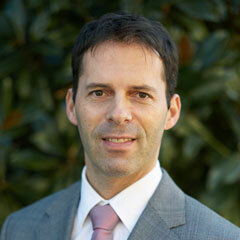 Member of the International Society of Arthroscopy, Knee Surgery and Orthopaedic Sports Medicine (ISAKOS) (2012). 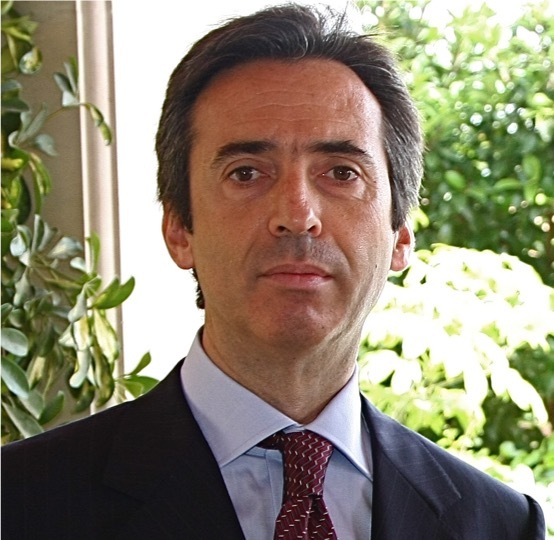 Member of the Società Italiana del Ginocchio, Arthroscopia, Sport, Cartilagine e Tecnologie Ortopediche (SIGASCOT) (2012). Honorary member of the Argentinian Orthopaedic Trauma Association (AATO) (2015). Attending Physician, Knee and Arthroscopic Surgery Unit. ICATME, Quirón Dexeus University Hospital, Barcelona (2009-present). Attending Physician OS&T, Trauma Unit. SOI Medical Center, Buenos Aires, Argentina (2007-2008). Collaborating member of the Teaching Unit in OS&T. Hospital Francés, Buenos Aires. Argentina (2005-2007). Bachelor of Medicine and Surgery, University of Barcelona (2001-2007). Orthopedic Surgery Specialist (MIR), Germans Trias i Pujol University Hospital (Badalona), Autonomous University of Barcelona (2008-2013). Fellowship in Arthroscopy and Knee Surgery. Equilae Group, Barcelona (2013-2014). Orthopaedic Surgery Specialist (MIR), Germans Trias i Pujol University Hospital (Badalona), Autonomous University of Barcelona (2008-2013). Bachelor of Medicine and Surgery, Autonomous University of Barcelona (2001-2007). Attending Physician, Knee and Arthroscopic Surgery Unit. ICATME, Quirón Dexeus University Hospital de Barcelona (2015-present). OS&T Medical Specialist. CAP Poble Nou (Primary Health Care Center). IMAS – Hospital del Mar, Barcelona (2015-present). Attending Physician, OS&T Emergencies. Germans Trias i Pujol University Hospital, Badalona (2013-present). Medical Services Collaborator, Barcelona Football Club (2013-present). Doctoral courses and Thesis (Research Proficient). Autonomous University of Barcelona (2010-2012). 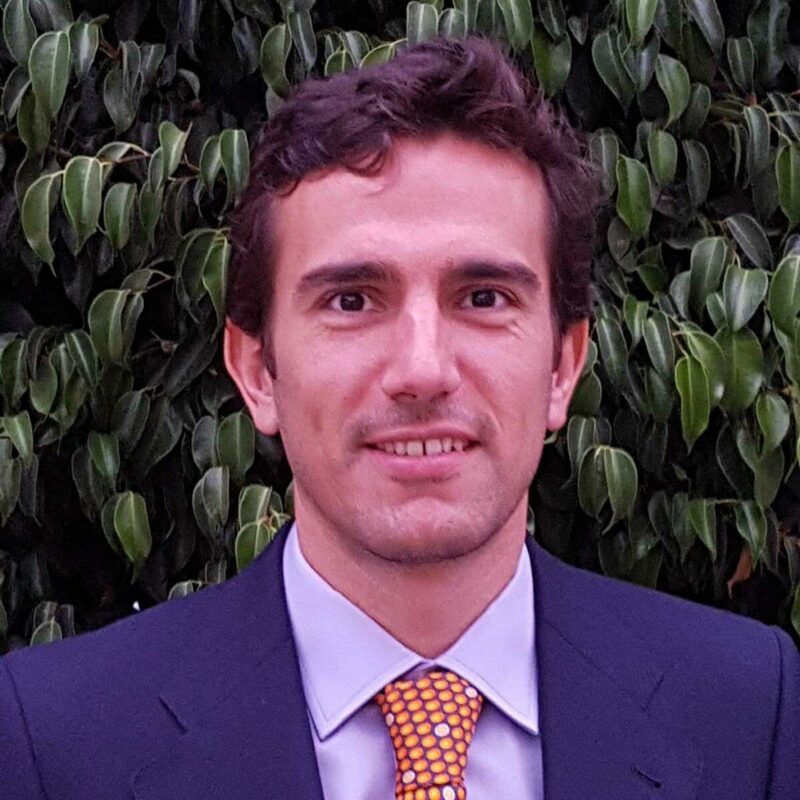 Member, Catalan Society of Orthopaedic Surgery and Traumatology (SCCOT). Equilae maintains a commitment to continuing education and has received numerous visitors from all the continents. From 2008, we developed one-year long fellowship programs a year for super-specialization in Arthroscopic Knee Surgery. This educational activity is closely linked to clinical research with constant evaluation of results, participation in the most relevant national and international forums of the specialty and the publication of articles and book chapters on the highlights, the results of that research.